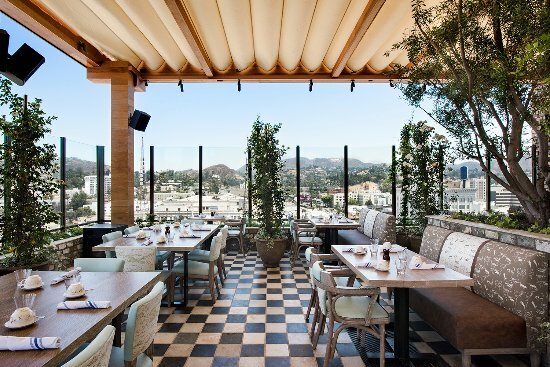 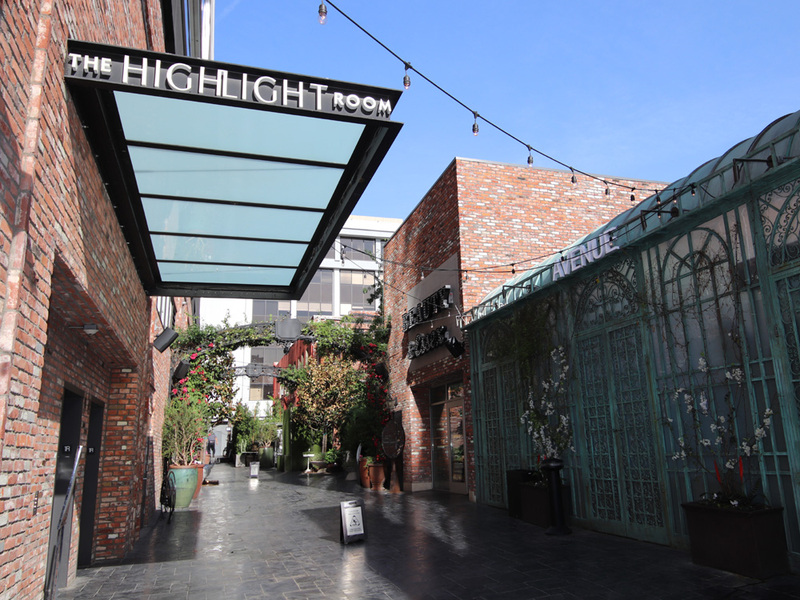 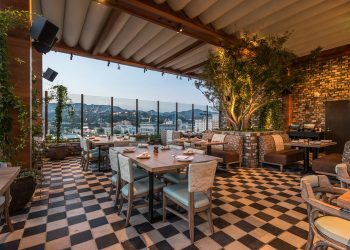 The Dream Hollywood Hotel opened The Highlight Room, an 11,000 square foot chic outdoor rooftop party space in the heart of Los Angeles. 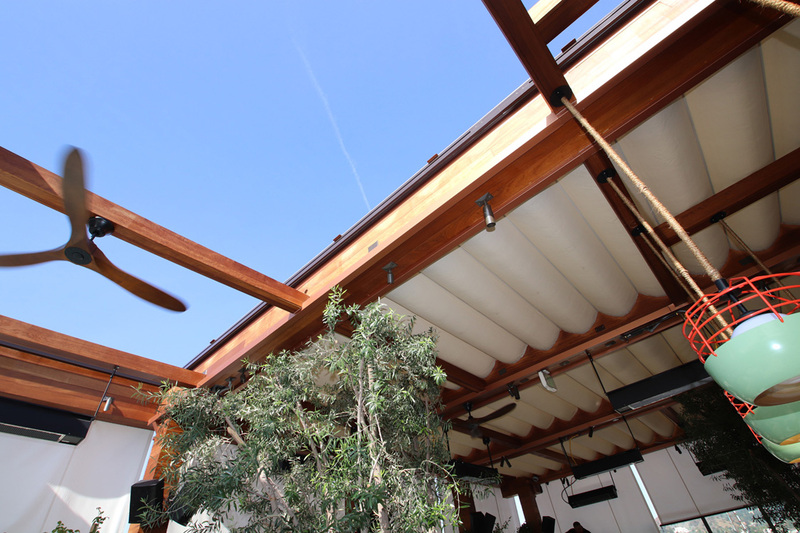 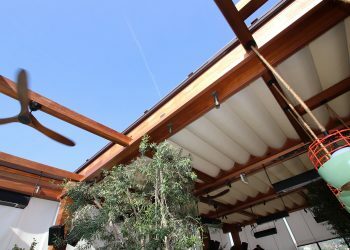 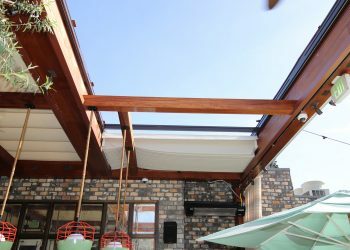 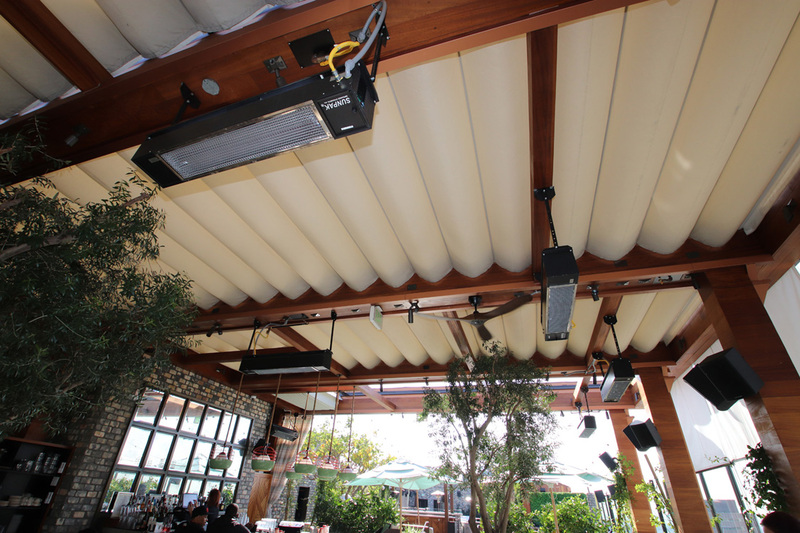 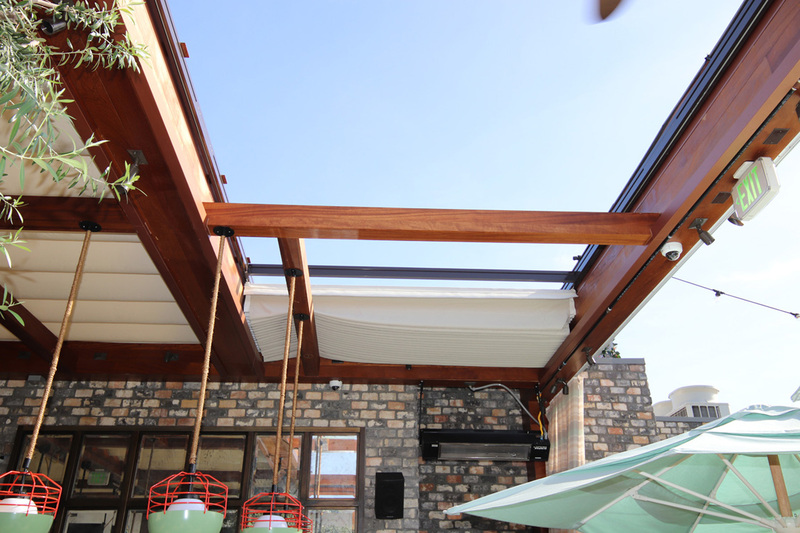 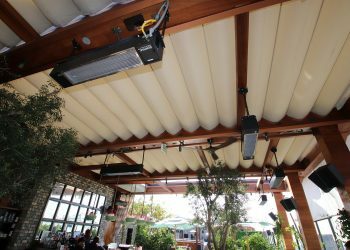 Five Chairs Construction hired the Retractable Structures Division of Eide Industries to design, engineer, manufacture and install a 30′ x 40′ retractable rooftop canopy system with vertical screens over the restaurant and bar. 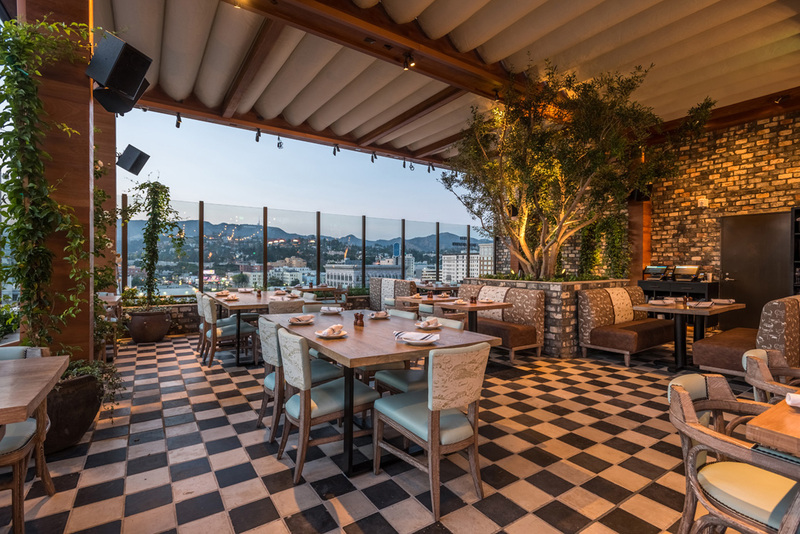 The Highlight Room features a new sundeck and pool with private cabanas, lounging, dining and dancing areas, while surrounded by arguably some of the best views in Hollywood.